Where can I stay in Essex? 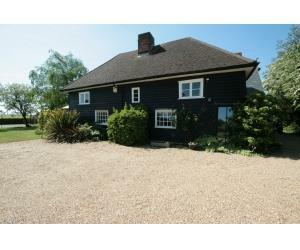 Colchester B&Bs are the ideal place for a holiday getaway, with plenty of accommodation close to Colchester. You'll find easy access to the town centre’s wealth of history and culture, as well as the breath-taking surrounding scenery, staying in a Bed & Breakfast near Colchester is the ideal way to make sure you are conveniently located to explore Colchester and the Essex/Suffolk border. If you need help deciding where to stay in Colchester, browse through our selection of B&B’s to find the perfect place to stay. Find accommodation close to Colchester Castle and the town’s historic sites, whether you’re coming by car, or need somewhere accessible by public transport or by foot. If you’re exploring the English countryside where renowned artist John Constable grew up and was inspired, stay in a Bed & Breakfast in the Dedham Vale, part of ‘Constable Country’. Depending on your taste, budget, and planned activities, you can find a B&B in a great location with good access to attractions and historic sites in Colchester. For quiet and relaxing locations, with easy access to great attractions and historic sites, stay in the countryside near Colchester. Breath-taking scenery which has inspired artists and nature reserves attracting all sorts of wildlife, they are the ideal setting for a weekend away from the noise and the hustle and bustle of the town. 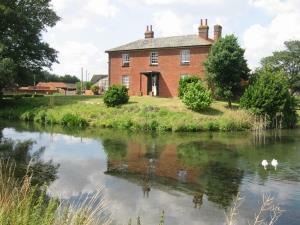 Stay on an English farm on the outskirts of Colchester town. Family-friendly B&B’s are ready to welcome you with home-baked bread and helpful tips on the hidden gems to discover in the area. Stay in a period house. You don’t need to go to a museum to enjoy Colchester’s history. Stay in a room with exposed wooden-beams, or a Victorian farmhouse surrounded by magnificent gardens.